A few days back someone asked me what I like to cook the most, my reply was ‘ bread’. Yes it might sound weird but that’s what I love to prepare when I want to vent some energy or anger out. If you have ever tried doing this then you would know how therapeutic this whole process is. The mixing, kneading, proofing and shaping provides immense satisfaction. The fact that breads are so versatile and the most easiest breakfast option ,helps this matter much. Isn’t it the most maddening time of the day. Doing any work in a halfwake state has always been pathetic and with that tending to the needs of a family sometimes become unbearable. I go through this everyday. Half of my mind wants to go back to bed and catch on that lost sleep whereas the other half tries to be sane and goes about the house work. In those moments breads are really handy. You can pack a cheese and cucumber sandwich for the kid and also serve some good toast with omelette to the hubby for breakfast. With bread the options are endless. If you have time then prepare a laid back breakfast with elaborate sandwich or just slather a big dollop of peanut butter and you are good to go. All you need is a good, fresh, healthy loaf of bread…and the problem starts here. 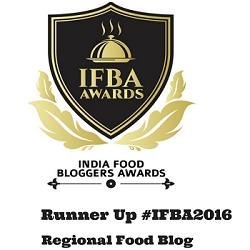 I do not know about other countries but in India, specifically in Kolkata finding a good whole grain loaf is very very difficult. Most of the regular breads use very little whole grain flour. The breads that are really good will make a big hole in your pocket. So ever since I have started baking breads (read have found the right yeast) I have been looking for that keeper 100% whole wheat recipe which would be easy to make and tastes good. I loved this loaf that I shared a few months back yet was experimenting a lot to get a better texture in terms of softness and taste. I have tried using pre fermentation process and the loaf was good but then that requires almost 2 days to finish the whole process. Without a bread machine this sometimes feels daunting. Then I tried using the everday artisan whole wheat bread. It was good but it was not 100% whole wheat. So my search continued but all these experiments actually gave me a lot of insight in the bread baking chemistry. So on a fine day with my new found knowledge started building this recipe, and the outcome was striking ,even if I myself say so. It was soft, pillowy and there was no trace of bitterness. The perfect dinner rolls I so longed for. take the flour, milk powder and salt in a big bowl. keep aside. Mix honey to the warm water. Add yeast and stir. Pour this in the flour mixture along with the egg and flax meal liquid. Stir to combine everything to rough dough. (I would not recommend using all of the water at the first go. Mix yeast to 3/4 cup water and gradually add more. generally the coarser the flour the more liquid it absorbs. so keep more water handy). Oil your working surface and your hands and start kneading the dough. Every-time you feel the dough is being sticky grease your hands. Knead for 5 minutes and then cover and let it stand for 5 minutes. This will help the gluten to develop. Do this for twice more. At the end of this process you should use up all the oil and the dough shouid be smooth and stretchy. If you poke with your finger, it should bounce back. grease the dough and place in a big greased bowl. Cover and let it rise for 11/2 hours to 2 hours. The dough will be double in volume. Punch down and knead briefly for a few seconds. Roll the dough on the working surface and make a thick log. Cut in half and divide each half in 6 equal portions. roll between your palm to get a smooth outer surface. Try to tuck the edges inwards to give it a smooth finish. Place them in a 8x12 greased pan, space them evenly. Repeat with the remaining. Cover and let it rise for another hour or more. Bake for 30-35 minutes or the top is golden brown. Once cool to touch take out of the pan and serve. If storing, then cover them in cling wrap and put in the fridge. Sending this to Tickling palates lets cook# 17, bread. sending also to Jagruti'sknow your flour:wholewheat flour at JCO. Also to Girlchef's Bake your own bread. recipe dinner roll. roll recipe, roll recipes, dinner roll recipe, dinner rolls, dinner rolls recipe, bread roll recipe, the dinner roll, yeast diner roll, wheat roll recipe, whole wheat dinner roll recipes, whole wheat roll, bread recipe, wheat bread recipe, wheat bread recipe, whole wheat recipes, bread recipes, bread with flax seeds, yeast bread with egg, yeasted bakes with egg, purely whole wheat yeast bread, multi grain wheat bread. 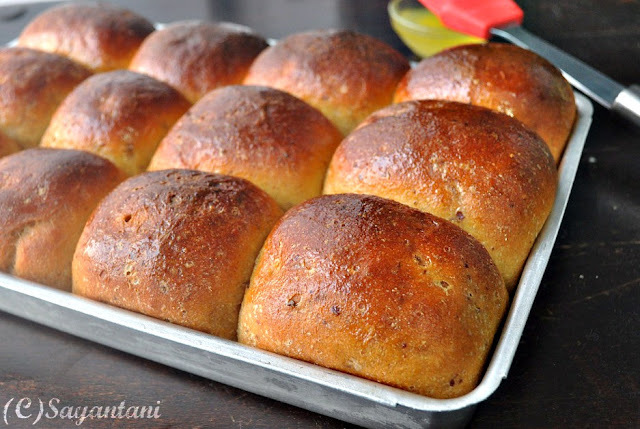 Wish to start my day with this wonderful rolls.. 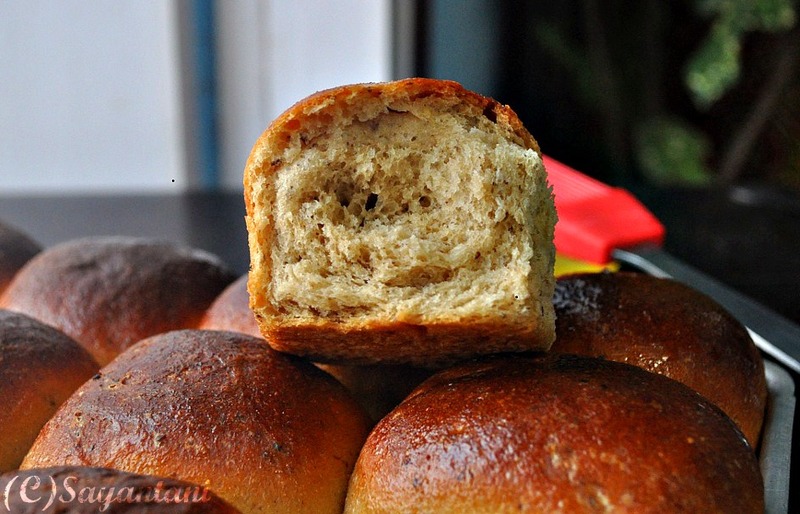 Perfectly baked, delicious n healthy dinner rolls. pics say it all.. Even though big stores claim that their wheat bread is pure and don't have maida in it, the truth is they do use flour in a good ratio even for wheat breads. so I never buy wheat breads from outside. 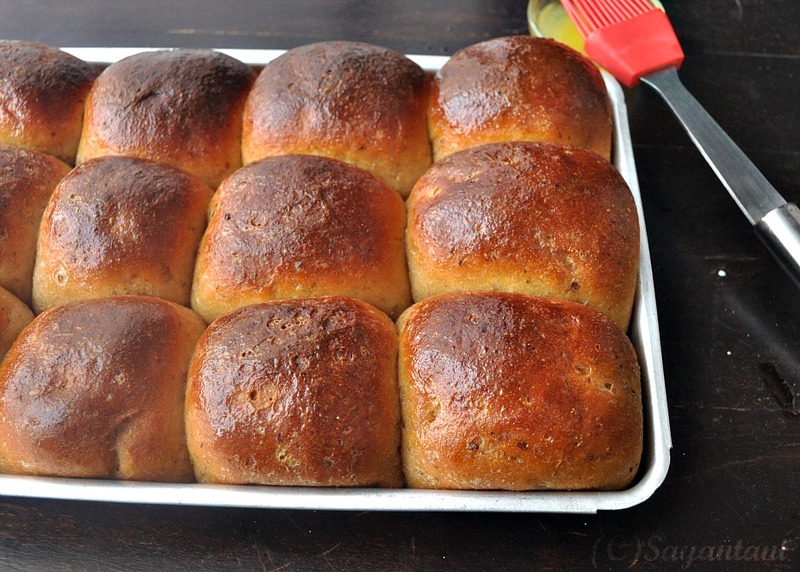 your dinner rolls are looks absolutely divine...Nice color on top. Whole wheat and such a crumb!Superb bookmarked. 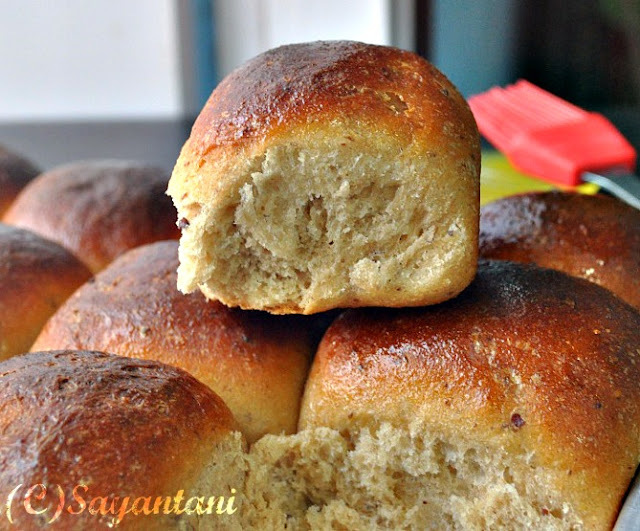 They look wonderful...Saw the image and decided to bake it...bookmarked..
wish my rolls turn out this good Sayantani. thanks a lot for linking to the event too. But one doubt though why use flax seeds if using eggs. Is it a replacement for another egg? @Radhika, used the flax meal paste for many reason. definitely to make it more pillowy and soft. 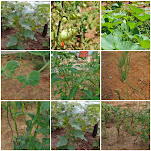 but apart from that Flax seeds in itself are very good for health, especially for women. I try to incorporate this in all my baking. Deepa and Arch, thanks for liking the header. am trying to portary the essence and hope it comes through. perfectly baked and pics looks superb.. Thank you for sending it to my event. Yummy rolls n perfectly baked. Wow, you achieved some perfect looking rolls - the sheen on the outside and the flecks of flaxseed are beautiful! I hope you'll drop by and share these with BYOB - Bake Your Own Bread this month (http://www.girlichef.com/2012/07/byob-bake-your-own-bread-july-12-some.html)! Your description of the morning routine being a challenge for a non-morning person is perfect. I agree with you on how bread can help keep you sane and moving along, no matter what. Great post, thank you for sharing. 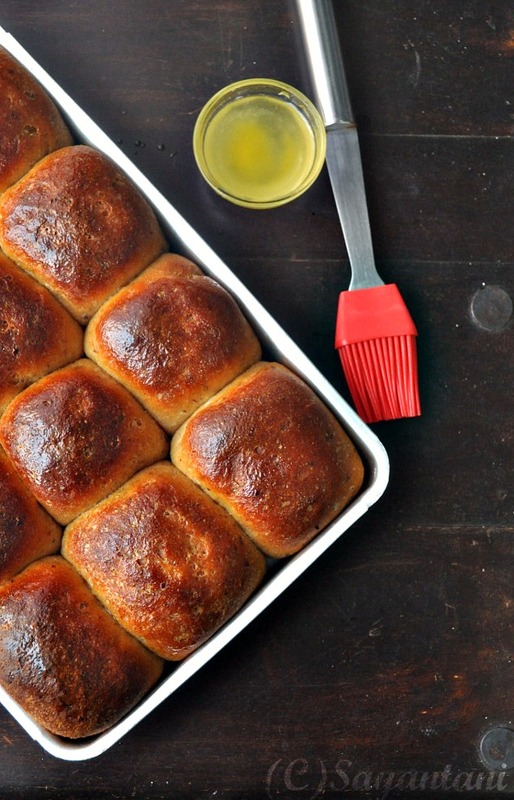 Sayantani, your dinner rolls are perfect. 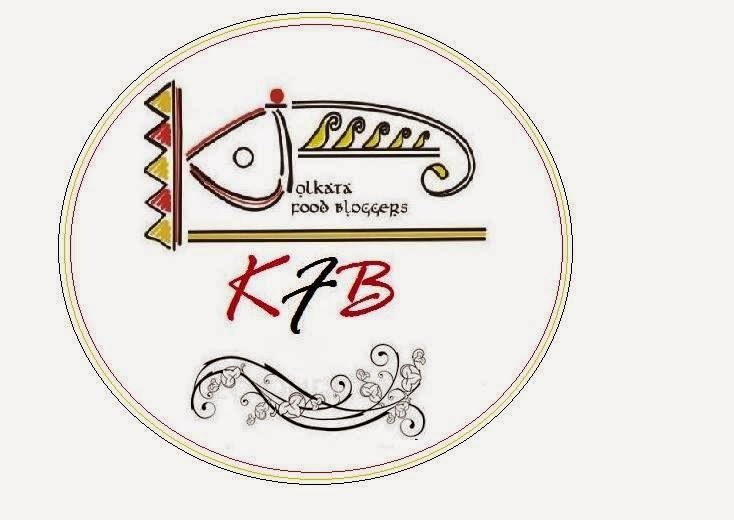 Khub bhalo. It is inspiring to see someone do these things. Did you pre-heat your OTG or microwave (convection mode)? Tumi jodi kichhu basic kotha gulo bolte paro, it will help me a lot. These looki Perfect Sayntani.. I am just a bit confused on why are we using Flax Meal and Egg both, have you tried with any one of them before ? Does this way it yield better results ? The brown crust on top is just so eye catching, love the new style for your Home Page too..
@Nupur, as mentioned above in response to Radhika's comment. this definitely helps getting a better texture, but I mainly added it because flax is very good for health.